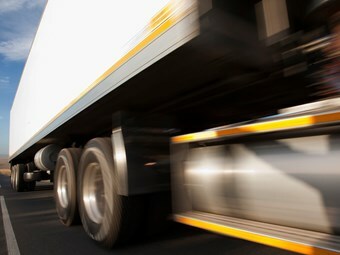 The silver lining of falling numbers continues shine from the very dark cloud of the latest Bureau of Transport, Infrastructure Transport and Regional Economics (BITRE) figures on heavy truck-related deaths. The BITRE’s Fatal heavy vehicle crashes Australia quarterly bulletin for April-June last year shows a steady decline in articulated truck crash deaths, from 170 in 2006 to 138 in 2011. For the 12 months to last June, 124 died, a fall of 15.6 percent on the previous corresponding period. For articulated-truck fatal crashes, the fall was from 145 in 2006 to 122 in 2011. For the 12 months to last June, there were 112 such crashes, down 10.4 percent on the previous corresponding period. There was a certain levelling out in the three years to June 2012, with the decline there at only 1.8 percent. The picture is more volatile for those involving heavy rigids, due in part to a strong up-tick in the 12 months to June 2012. For that period, fatal crashes hit 73, against 58 in the same period the year before. If the rate is borne out for calendar 2012, it will see fatalities at 2006’s level, though still below the worst recent years of 2007 and 2008, where annual numbers were in the 80s. However, fatal crash numbers fell from 72 in 2006 to 60 in 2011 and deaths from 80 to 72. For the bureau, the key features for the bulletin were that during the 12 months to the end of June 2012, 225 people died from 200 fatal crashes involving heavy trucks or buses. 23 deaths from 23 crashes involving buses. Fatal crashes involving articulated trucks decreased by 10.4 percent compared with the corresponding period one year earlier and decreased by an average of 1.8 percent per year over the three years to June 2012. Fatal crashes involving heavy rigid trucks increased by 25.9 percent compared with the the previous year’s corresponding period but decreased by an average of 8.1 percent per year over the three years to June 2012. The general trend was down in all states.